The Nike Swoosh logo is the stuff legends are created from; how something so uninspiring—at the time—would become one of the world’s most well-known and successful brand logos. 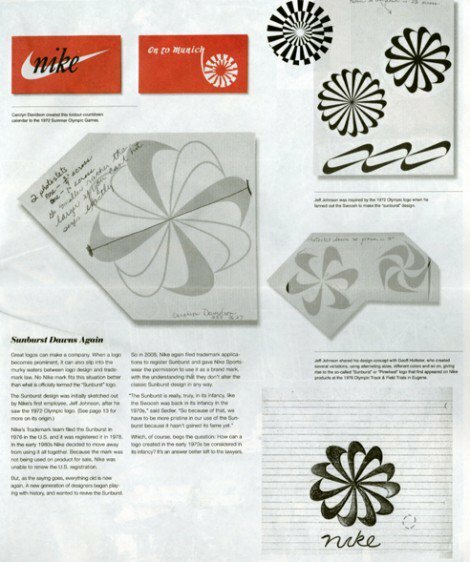 Read more on the Nike 40 Year Anniversary by Steven Heller for Imprint. 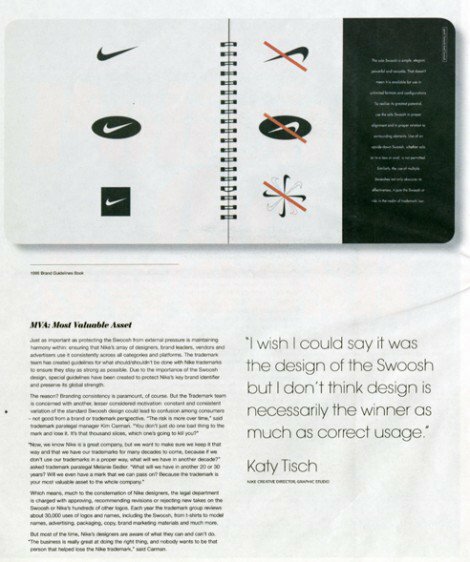 I believe the early Nike story goes to show that brands are not, and cannot be, designed with success guaranteed; the success of a brand and/or brandmark is dependant on so many factors out of the hands of us mere creative and agency types. You don’t knowingly create a brand; you do however give a name, or product, or service a chance at life. The success of a brand is never guaranteed, but hiring the right people to help steer it is part of how one can help increase the odds. Ultimately though it is down to the consumer to decide if said name, product or service deserves success. Those are my thoughts and beliefs. Link credits: LogoDesignLove, Kottke and Steven Heller for Imprint.